Once again my favorite tv show, AMC’s The Walking Dead has come to the end of another amazing season.Once again I’ve found my self suffering withdrawal symptoms again and to easy the pain I decided to revisit the style I used for the Rick Grimes illustration. 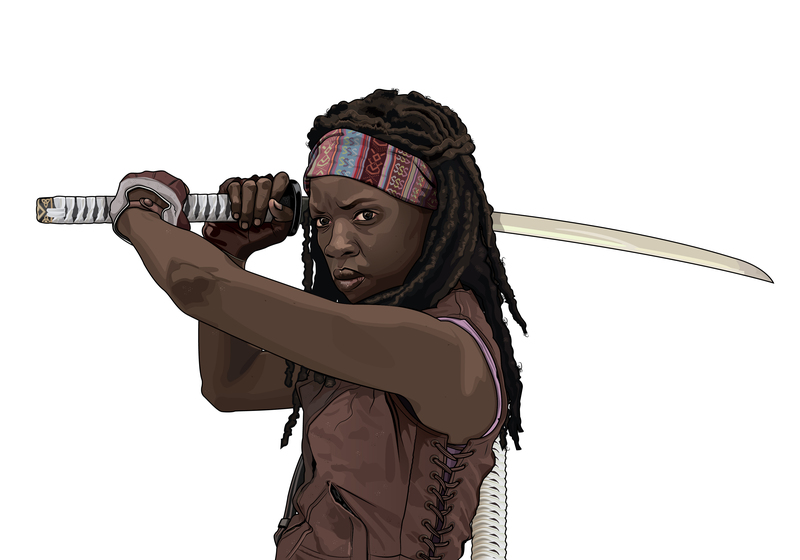 I chose Michonne this time as a nod to the amazing relationship fans have seen blooming between Rick and her in this last season. After about 17 hours in adobe illustrator I was left with this, normally I’d call it a day at this point. 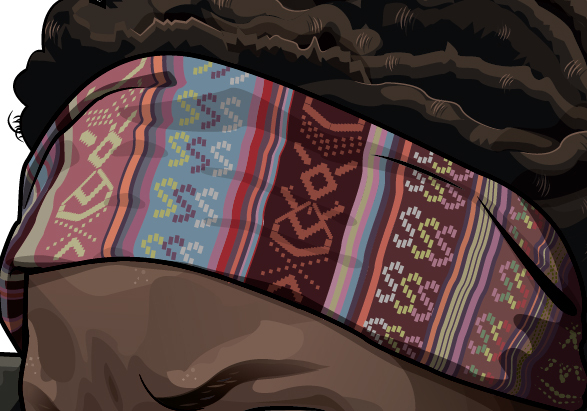 I put more time into the little details than before. 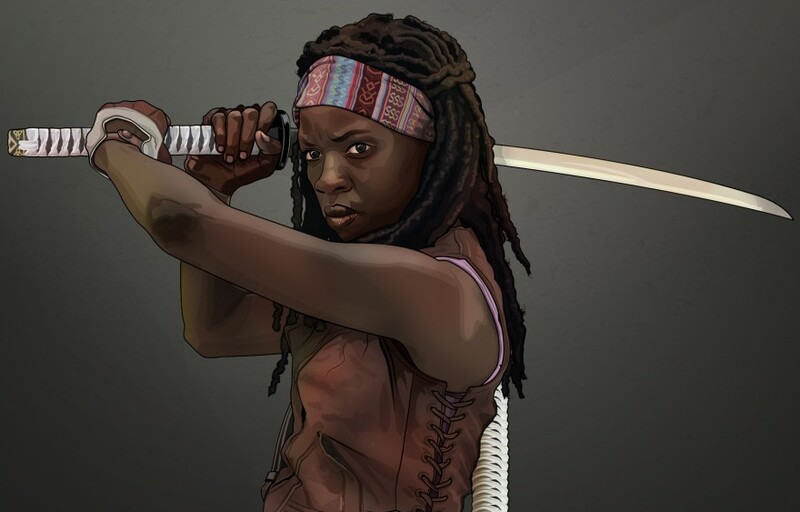 I wanted this to be more realistic than the Rick Grimes Illustration. But I wasn’t happy with how it looked. I felt it looked to flat and the colour wasn’t quite right. All the details I wanted where there, but I wanted more depth to bring it to life more. 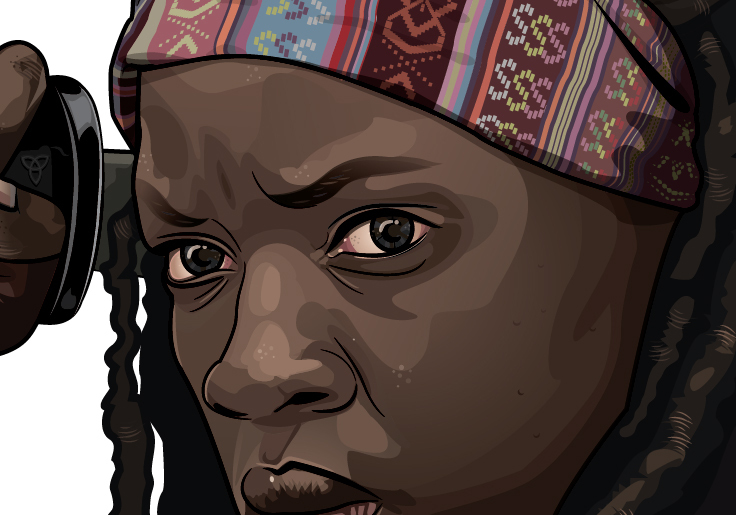 I was really happy with the level of detail I was able to get on the Headband. 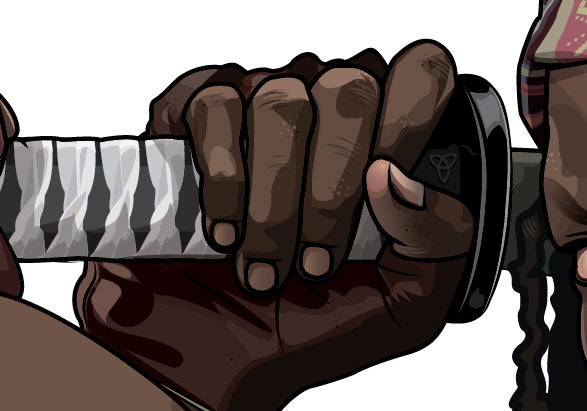 So I took the whole thing into Photoshop, created a layer mask and started to add colour. And after a couple of hours playing around with colours and making the background, I was left with this. 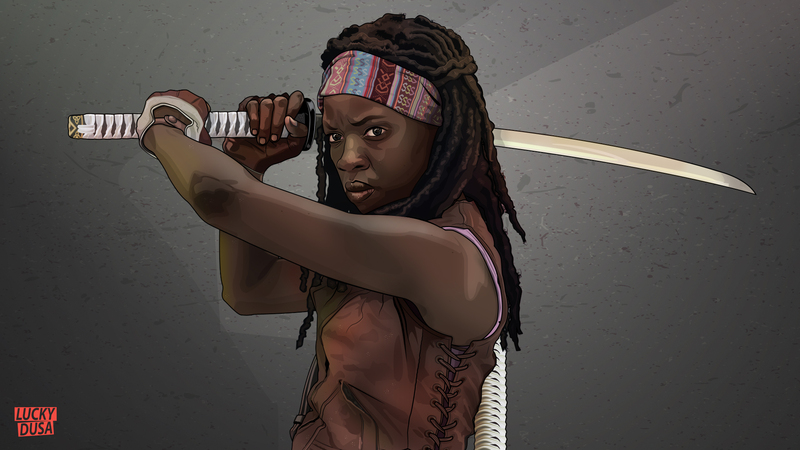 Im really happy with the way it turned out and I plan to do more of the Walking Dead characters in the next few weeks.